Last week the 52-year-old decided to check in with the rescue flying fox named Jackie Sparrow, spending some time bonding with the cute animal and feeding her. 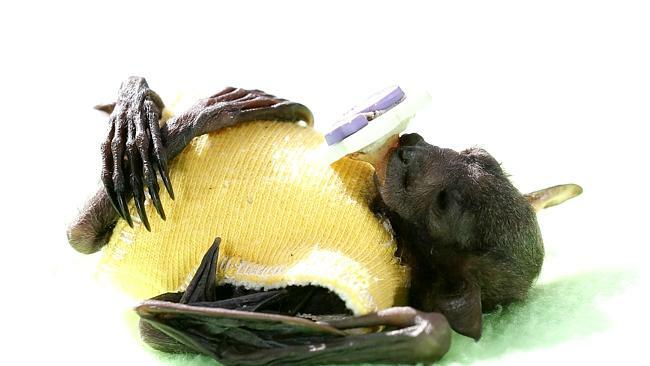 A video uploaded by the Australian Bat Clinic and Wildlife Trauma Centre Facebook page shows the actor decked out in his pirate character's costume while bottle feeding the 10-week-old bat. 'To fall in love with them,' Johnny is seen saying in the brief clip, admiringly watching little Jackie enjoying her feed. Wrapped in a soft green blanket, the baby bat was 'teething' according to a clinic staff member on hand. 'That's why she wants that dummy so much,' Johnny said, nurturing the animal and continuing, 'there's more in there sweetheart, there's more in there'. 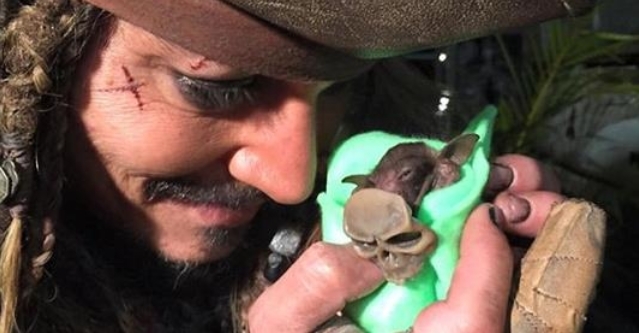 Responses to "Johnny Depp Feeds Rescued Orphaned Baby Bat With Tiny Bottle"
What a amazing animal. So tiny. Thank you for sharing this.